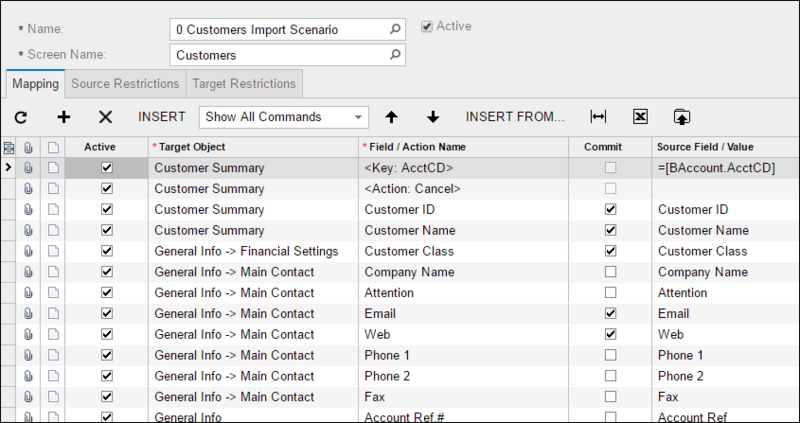 Here is a Customer sample Acumatica Import Scenario with Installation Instructions. Acumatica will bring the data from the Excel file into the grid on the Prepared Data tab. You know it’s finished when you get the green checkmark on the top of the screen. 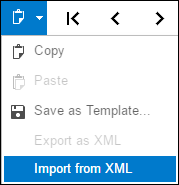 From this point forward, Acumatica will be using the data in the grid on the Prepared Data tab to do the import. It doesn’t go back and “talk” to Excel. So, you can change the data in the grid if you want and this will be the data that gets used for the import. Now we need to actually do the import. Before you do this, I recommend taking a Snapshot backup of Acumatica so you’ll have something to roll back to if you don’t like the results. Also, note that only the records that have Active checked and Processed unchecked will be imported. The other ones will be ignored by the import. When it’s finished, you’ll get a green checkmark on the top of the screen if there were no errors and the Processed column will be checked for all records that imported successfully. If you get a red checkmark on the top of the screen, it means that you got an error on one of the records. Just look for the record that has a message in the Error column. You can hover over the message to see the full error message. 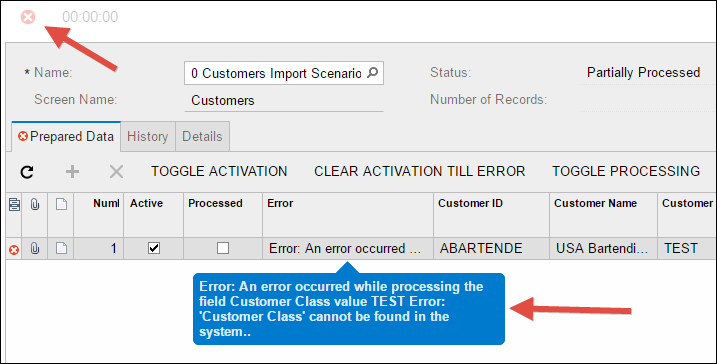 Note: If you have any issues with using this sample import scenario, please leave a comment below.